The Maitland Mustangs beat the Bankstown Bruins, 90-79. The two teams played a close first half, however the Mustangs earned the advantage with six-point margins in both of the final quarters. Isaiah Ellis of Maitland notched a double-double with 22 points and 12 rebounds with two blocks. Bankstown had triplet 12 point scorers, in Stefan Erak, Christian Petrovski and Mark Franco. Maitland now holds the fourth position on the ladder at 4-2, while Bankstown slides to the eighth with a record of 2-3. The Manly Warringah Sea Eagles faced two games this weekend, first outplaying the Sutherland Sharks on Saturday, 83-73 and then squashing the Hornsby Ku Ring Gai Spiders on Sunday, 79-64. Against Sutherland, Manly’s two top scorers were Cooper Wilks, and Kevin White, who had 19, and 22 respectively. Sutherland fired back with twin 25-point scorers in Taj Spencer and Lochlan Hutchison; Spencer grabbed 14 rebounds for a double-double, while Hutchison had six steals. With two wins Manly improves to 4-2 and third on the ladder, Sutherland drops to 2-3 for ninth on the ladder, and Hornsby still looks for a win at 0-6. The two teams on top of the ladder handily defeated their opponents: the Norths Bears defeated the Canberra Gunners, 100-53, while the Central Coast Crusaders beat the Newcastle Hunters by a score of 30, 92-62. Norths’ Nicholas Blair was his team’s top scorer with 26 points, while grabbing three steals and three rebounds. Central Coast’s Mitchell Rueter led his team’s scoring load with 23 points and seven rebounds. The Crusaders and Bears both registered their fifth win, however Central Coast leads Championship Men at 5-0 while the Norths trail in second at 5-1. Newcastle Hunters continued their dominant stretch, improving their record to 5-0 with a 104-43 win over the Central Coast Crusaders. The Hunters played an extremely efficient game: shooting 43% on field goals and a precise 52% from three on 25 attempts. Newcastle collected 56 total rebounds including 26 offensive boards, which they converted into 36 second chance points. They also shared the ball effectively, accumulating 27 assists aided by Jaimee Seebohm’s triple-double of 19 points, 14 rebounds, and 10 assists. 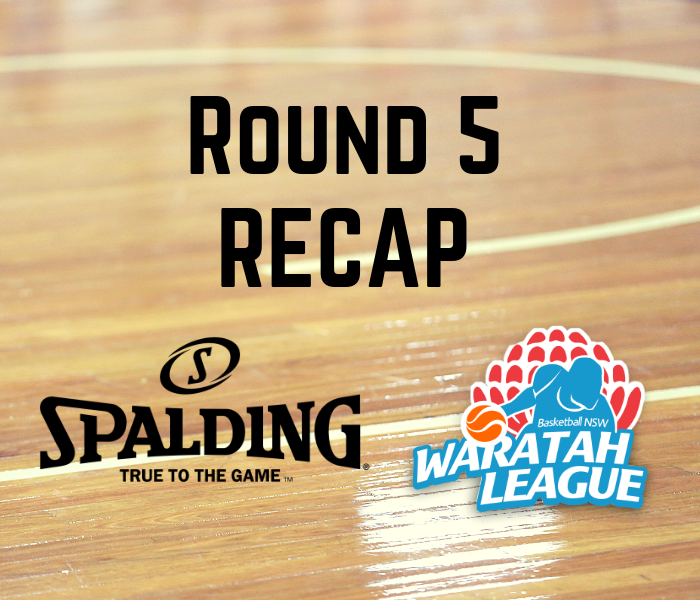 The Hunters’ top two scorers filled the statsheet in a variety of columns: WNBL’s Hannah Young & Laura McSpadden combined for 50 points, 16 rebounds, six steals, five assists and two blocks. Newcastle tops the Championship Women’s division at 5-0. The Hornsby Ku Ring Gai Spiders recorded two wins in a double-header this weekend, defeating the Penrith Panthers, 56-47, and Manly Warringah Sea Eagles, 73-52. Hornsby won both of their clashes on their physicality as they notched 78 points in the paint and had a rebound differential of 10 against both opponents. The Spiders also created 27 total steals and capitalized off the opposition’s mistakes, tallying 40 points from turnovers over the weekend. Hornsby primarily featured Rachel Maenpaa, who averaged 12.5 points and 7.5 rebounds across both matches. Despite the Spiders’ strong statistics, two opponents registered double-doubles against the side: Kimberly Hodge of Manly dropped 29 points and 10 rebounds, while Natalia Beaumont of Penrith had 18 points and 13 rebounds. Hornsby settles for the third position on the ladder at 5-1, while trailing the unbeaten teams of Newcastle and Sutherland. The Canberra Nationals defeated the Norths Bears, 81-78. Canberra shot 43% from beyond the arch, helped by Hannah Kaser’s uber-efficient five for seven shooting on three-pointers, complimented with a double-double of 21 points and 11 rebounds. Five players reached double figures for the Norths: Alessandra Burke, Emily Simons and Elizajane Loader each had 10, Elle Carroll had 11, and Kendra Asleson was their top scorer with 15 points. The highest point count belonged to Nationals’ Keely Froling, who had 24 points, eight rebounds, and four assists. Canberra slides ahead of the Norths at 3-2 and fifth on the ladder, while the Bears drop to 3-3 in the sixth position. The undefeated Newcastle Hunters beat the Central Coast Crusaders, 78-70. Six total players reached double figures in this game, Newcastle’s’ Cameron Springall and Kieron Moss had 11 and 12 points respectively, while Matthew Charles Homes registered the highest score of the match with 20 points. For the Crusaders, Dylan Russell and Cameron Clayton both had 13 points, while Hayden Ellis scored 17 points. Newcastle tops the Division 1 Pool B ladder at 4-0. The Bankstown Bruins outlasted the Wagga Wagga Heat, 96-91. Ten players accomplished double-digit scores in this game, and five had twenty or over. Three Bruins reached 20, Brett Foster, Andre Boykin, and Jimmy Kien had 20, 21, and 27 respectively. Wagga Wagga’s Zacchery Maloney and Sawyer Dearborn equally contributed 20 points. Wagga Wagga drifts to 1-4 and eighth on the Pool A ladder, while Bankstown improves to 2-3 in the seventh spot. In the lone game of the weekend, the Coffs Harbour Suns beat the Dubbo Rams, 80-55. Suns’ Jordon Woods led her team with 20 points, while teammate Amy Polmear added 17 points. Demi Wilson and Tori Monk carried the scoring load for Dubbo with 16 and 11 points respectively. Both Coffs Harbour and Tamworth Thunderbolts have one win under their belts, and are tied for the #1 position on the ladder. In their first game of a double-header, the Manly Warringah Sea Eagles fell to the Sutherland Sharks 104-97. Daniel Mankarious led his Sharks with 24 points, while Liam Hoddock, Kristian Andrievski, Ethan-James Laudato, and Liam Elton all reached double figures with 17, 16, 13, and 12 points respectively. The Sea Eagles took a win in their second game of the round, defeating the Blacktown Storm 90-86. Quinn Campbell dropped 41 points against the Storm and had 69 total points on the weekend. Manly holds firm on the ladder in the seventh position at 3-3, Sutherland improves to ninth at 2-3, while Blacktown drops to fourth at 4-2. In a game for the number two position in the standings, the Hills Hornets separated themselves from the Sydney Comets, 96-78. William Johnston of the Comets was the high-scorer of the match with 24 points. The Hills led a balanced attack with five players reached double figures: Bailey O’Brien, Tyrone Jay, Benjamin Planinc, Liam Moss, and Jayden Prakash had 10, 12, 13, 15, and 17 points respectively. The Hornets at 4-1 now trail the 5-1 Penrith Panthers for top position atop the ladder. In Albury’s first game of the competition, they gave Hornsby Ku Ring Gai Spiders their first loss, 68-56. Mikayla Kirby and Casey Arden were the high-scorers of Albury with 20 and 15 points respectively. Hornsby’s Tylah Mundine and Kira Mocatta fired back with 20 and 19 respectively, but their efforts ultimately fell short. The Hills Hornets triumphed over the Illawarra Hawks, 65-59. Hills’ Madison Hare broke out with her season high of 28 points. Ebony Petre of Illawarra had 20 points in the loss. The Hornets look to replicate their success during a home encounter against Central Coast Crusaders on April 13th. The undefeated Inner West Bulls came out victorious in a nailbiter against the Camden Valley Wildfire, 87-85. Tomas Ramos and Timothy Ngo of the Wildfire both caught aflame, scoring 27 and 25 points respectively. The Bulls fired back with a strong team effort as four players reached double figures, Angus Glendinning, Thomas Newell, William Jones, and Ethan Wilks scored 10, 12, 17, and 19 points respectively. The Bulls pick up their fifth win on the season, sharing the top of the Pool A ladder with Albury. The Coffs Harbour Suns also secured their fifth win of 2019, defeating the Newcastle Hunters, 82-76. Suns’ Cody Woods shined, scoring 27 points. He was backed up by his three teammates who also reached double figures: Samuel Schellenberger and Levi Jones both had 12, while Mitchell Mihai registered 15. Four players of Newcastle also added double figures: Trace Evans had 12, Ryan Davidson scored 13, and Luke O’Connor and Alex Frost both had 14. The Suns sit at third on the Pool B ladder behind unbeaten Hornsby Ku Ring Gai Spiders and St. George’s Saints.